Flinging terrorism charges at a United Nations human rights expert is just one act in a litany of profane and inflammatory comments made by Philippine President Rodrigo Duterte against the rapporteur, prompting the UN rights chief to questions the leader’s mental stability. “He needs to submit himself to some sort of psychiatric examination,” Zeid Ra’ad Al Hussen, the UN High Commissioner for Human Rights, told reporters on Friday during a press conference in Geneva, which covered a range of other issues, including the situations in Venezuela and Myanmar. Mr. Zeid said the Philippine Government had added UN Special Rapporteur on the Rights of Indigenous Peoples Victoria Tauli-Corpuz’s name to the “alleged membership of the Communist Party of the Philippines and the New People's Army,” which has been designated a terrorist organization. According to Mr. Zeid, Ms. Corpuz believes that she has been targeted because of her comments on the attacks and killings of indigenous people in Mindanao. “This is of course unacceptable for a special rapporteur acting on behalf of the international community whose expertise is sought by the Human Rights Council to be treated in this way,” the High Commissioner said. “And I hope and expect the Human Rights Council to respond accordingly,” he added. Since 1 July 2016, the year Mr. Duterte took office, thousands of people in the Philippines have reportedly been killed for their alleged involvement in illegal drug use or trafficking. While some killings have reportedly occurred in the context of clashes between or within gangs, it is suspected that many incidents involved extra-judicial killings in the course of police anti-drug operations, according to the Court. 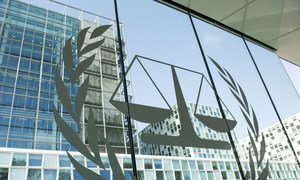 The Prosecutor of the International Criminal Court (ICC) announced on Thursday that she will open preliminary examinations into the so-called “war on drugs” campaign launched by the Government of the Philippines and, separately analyze alleged crimes committed by Venezuela related to the demonstrations and ongoing political unrest there.